It is very unusual to discover a winery that produces only two wines–both from the same white grapes. The name of this unique winery is Zuani. Patrizia Felluga, the daughter of the legendary producer, Marco Felluga, is the owner. I met Patrizia a few years ago when I was working as a sommelier and though I liked her wines, I did not know much about the winery. Caterina said that it is named Zuani because of a geographic name found on an ancient map of the Austro-Hungarian Empire. The estate is set in the hills of Giasbana in the municipality of San Fioriano del Collio – also known as Collio Goriziano. Antonio told me that the vineyards, all sustainably maintained, are situated on a medium to steep slope with marl and mineral soil. This mineral rich but poor soil produces well structured age-worthy wines. Collio’s mild climate and proximity to both the Adriatic Sea and the Alps create a vast difference in the nighttime and day temperatures allowing for a long ripening season. 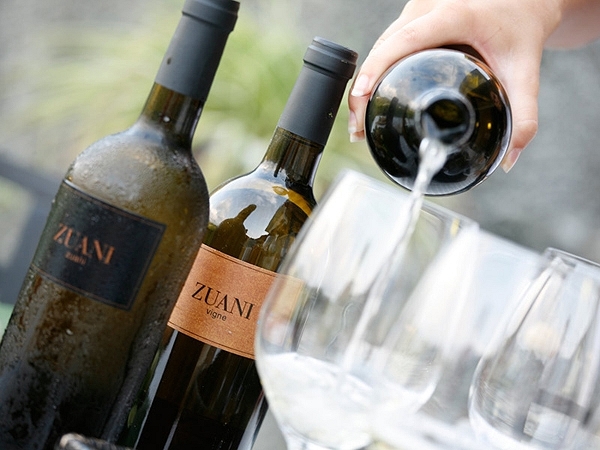 Friuli is a region that is known for its single variety wines, but at Zuani they created a blend from indigenous Friulano grapes plus international ones, which they feel thrive in this region. 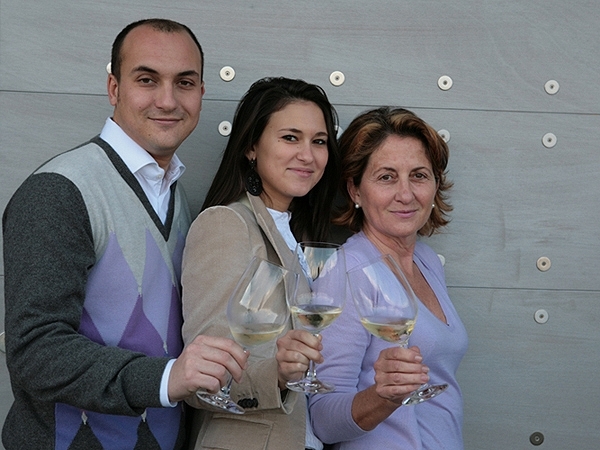 Antonio made it clear that their winery was the first in the region to follow the “cru” concept. All of the grapes come from a single vineyard, where Friulano, Chardonnay, Pinot Grigio and Sauvignon thrive. It is also very rare these days when one can taste a wine and say it must be from a certain region. Tasting and drinking these wines I knew that they were from Friuli!